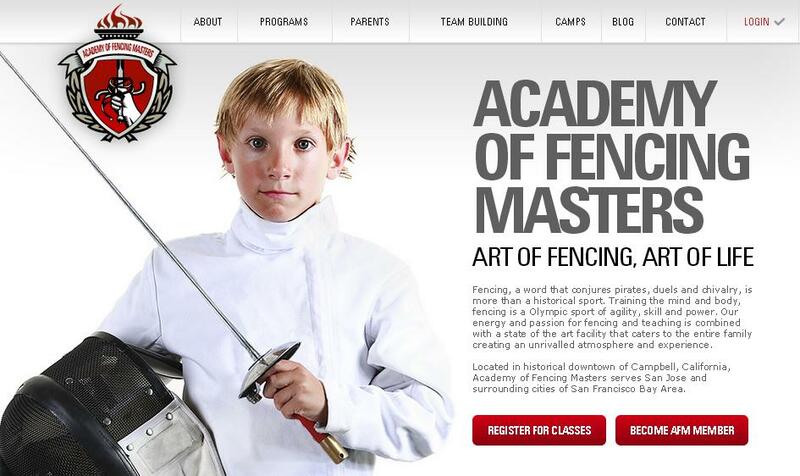 How long has your child been fencing? What’s your child’s fencing rating? What was the result from the last fencing competition that your child competed in? What’s the highest level competition that your fencing child has competed in? If you’re a fencing parent, then reading those questions probably just elicited a whole list of mental answers. Maybe you even said them out loud to yourself while you look at this blog on a screen. We like to quantify things. It’s natural. We want to know how many minutes it is until dinner time, how much money we have in the bank, how many miles to the next exit on the highway. That kind of hard measurement can and does serve us well in life generally, but what happens when you do that to a child? Putting your child’s fencing progress into hard numbers is intuitive, but it’s bad for you and most importantly it’s bad for them. The nuance of fencing becomes automatic to people who have been in it for a long time, but to newcomers, whether fencers or parents, the terminology can sound very unfamiliar. The detail can be challenging to master for those who are new to it. Epee grips are one of these instances. Often it just takes a clear, simple, high level explanation of what these things mean to facilitate mastery of the concept. A newbie might still not totally understand the intricate differences, but it lays a solid foundation that can inform fencing in the future. The grip is simply the part of the fencing sword that the fencer holds. Think of it as being the other side of a handshake, the place where the sword unites with the fencer to become an extension of their own body. How that interface happens is important, and over the years there have been many various grips developed by fencers. It is one of the most important parts of the fencing sword because the comfort, agility, mobility, strength, reach, and many other factors are affected by how the hand holds the weapon. Over the centuries, grips have been developed by master sword makers to to uniquely address different facets of fencing and different styles adopted by fencers. In modern fencing there are two primary grips, namely the pistol and the french grip. Those two are actually broad categories however, and there are variations on each of the grips. Eventually each fencer chooses her or his own style, or modifies an existing grip to suit their own style. Almost every fencer will start fencing with a french grip, whether they are a foilist or an epeeist. This is because the french grip handle “forces” a new fencer to correctly hold the weapon and to work with their fingers. Those novice mistakes in holding technique are much more visible to a coach with a french grip and thus this grip provides a better mechanism for a coach to correct such mistakes. Eventually with experience, foil fencers will transition to the pistol grip, while epee fencers will split into two major camps – french grip fencers and pistol grip fencers. It means epeeists have the luxury of choice, and neither is strictly correct or incorrect. That choice can be challenging if you don’t understand the good and the not so good of the two mainstream epee fencing grips. Let’s break down the advantages and disadvantages of each. There is a correct answer here, and we all know it. It’s not your fault that your child lost the match, after all it’s not your job to do everything for them but to facilitate them doing things for themselves. It can’t be the coach’s fault, though of course it is the coach’s job to offer your child training and support. Might it be the referee’s fault? Sometimes refs do make bad calls after all, so the ref plays a role. The opponent is a huge factor of course, but it’s unfair to say that it’s their “fault” that they won, that’s what they were supposed to do! Practice makes perfect is a cliche for a reason. The more a fencer practices, the better they will become. It’s a simple truth. If you work on your fencing for two hours per week in class, then you’re going to get better at a rate consummate to those two hours and not a bit more than that. In order to become a much better fencer, you’ll have to do more than the bare minimum and have more training. All of that training can’t necessarily happen at the club, for reasons of time or finances or club offerings. A great solution is to practice at home. Both young and more senior fencers can benefit from hearty home target drills. You’ll find that there are plenty of options to help you improve your hand eye coordination and to sharpen your focus without leaving the comfort of home. In the past we’ve written about target practice at home, but it’s a topic that’s worth revisiting. Oftentimes target practices, like any other type of routine practice, get very boring and are especially difficult to keep up with without the discipline of group practice or the strict eye of an observing coach. So we thought it would be a good idea to spice up these target drills a little for the sake of fun and most of all to encourage more home practice! There are a myriad of other drills out there for home fencing practice, but these are a great start. As always, it’s important that you talk over any training regimen with your coach BEFORE you begin. These home target drills can offer you a great place to get going, but every fencer is unique. Make sure that your technique is spot on before you reinforce it, as it’s much harder to unlearn something than it is to learn it. It’s a common thing that people don’t understand which color of fencing scoring lights belongs to which fencer. Parents often watch their children in a bout and don’t understand what’s going on and who’s scored. That’s especially true in a large venue like at an NAC or at the majority of clubs, where the lights oriented differently. That makes it very hard for parents and spectators, particularly novice parents and spectators, to guess who among the fencing competitors has scored. They find themselves having to rely totally on the final hand gesture of the referee, and that can take a lot of the fun out of watching fencing. AFM named #3 Fencing Blog in the world! AFM Newsletters – Read to see what’s going on in the club! 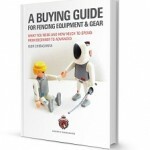 Want to stay on top of all things fencing? How about exciting fencing topics like rules, qualification paths, cool tips from and for fencing parents, free ebooks, and more? Enter your name and email and get them delivered right to your inbox!